Do you have a cat? More than one? If so, they’re likely nice companions, but they can be pests when it comes to climbing on or tearing up your furniture. That’s just cats being who they are. Fortunately, the solution is an easy one – you need to get your cats some furniture of their own. You could build something if you’re the handy type, or you could run down to Wal-Mart or Petsmart to see if they have something that will do, and they might. Or, if you’re interested in buying cat furniture that will suit both you and your pet, you might want to take a look at CatsPlay. CatsPlay bills itself as the “cat furniture superstore,” and that may actually be accurate. 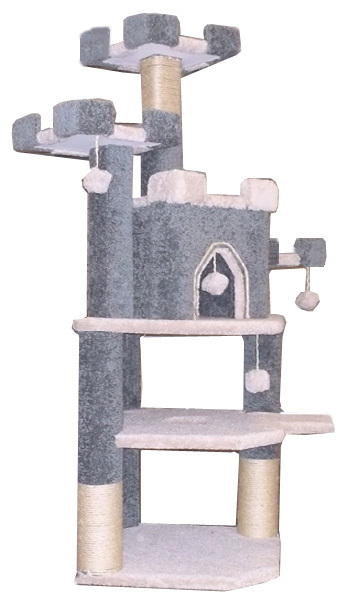 CatsPlay is a Website that specializes exclusively in cat furniture, and they have an astonishing variety of cat trees, cat condos, cat gyms, wall furniture, window perches, and necessities such as litter boxes. They’ve got it all and they’ve got a selection you wouldn’t believe. They even have free shipping on hundreds of items. Read on for the full CatsPlay review. CatsPlay isn’t new; they’ve been online since 2002. The site’s owner, Brian Bettar, has been building cat furniture for more than 30 years. Now, the site, based in Santa Cruz, California, probably offers more cat furniture than anyone else. 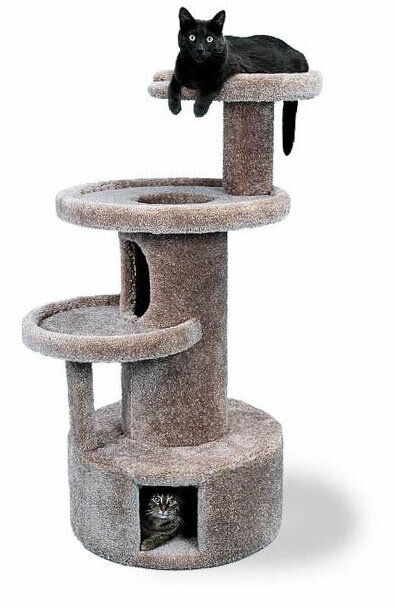 If you haven’t spent much time thinking about cat furniture, you might be surprised at how many options are out there. A lot of “cat furniture” consists of little more than a box or perhaps a pole with a shelf attached. It might be covered with carpet. You can certainly buy such things at CatsPlay, but you’d be quite surprised at the variety of items that are available. Fortunately, there’s a series of convenient pulldown menus that make it easy to see what’s thee. Not only does the menu have a list of categories, but it shows you how many items are in each category. 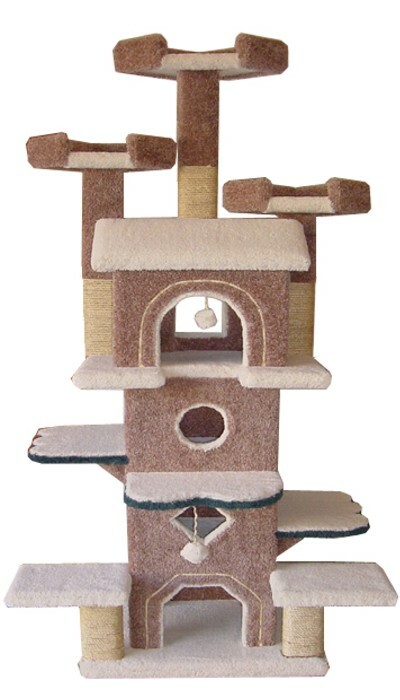 Cat Trees With Leaves – These are trees that have shelves for your cats to play on, but they also have leaves, and are designed so at a casual glance, they look like a large plant or tree. 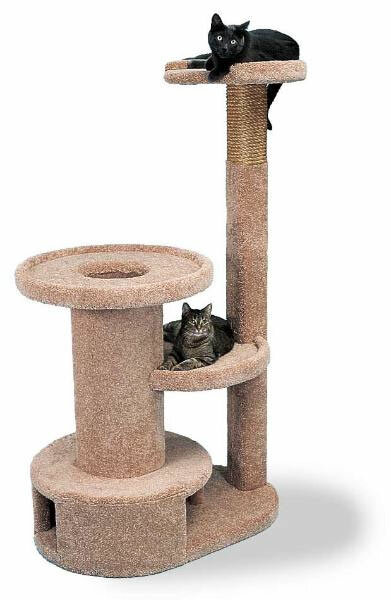 This is ideal for someone who wants to have a nice piece of cat furniture, but who doesn’t want that cat furniture to stand out in any way. These realistic trees with leaves look like regular plants, and will enhance your home’s decor while still providing entertainment for your pet. Carpeted Cat Furniture – There are several advantages to carpeted cat furniture. Cats find that it gives them something to scratch, and it also gives them something to grab if they happen to be climbing. For owners, the advantage of carpeted cat furniture is that you can match your home’s own decor. 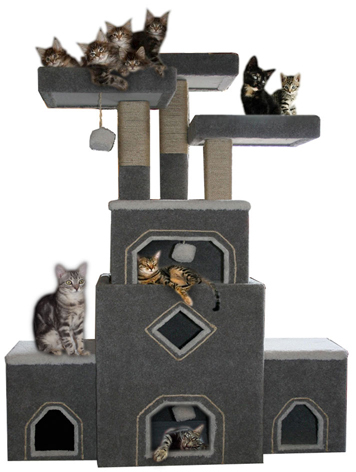 At CatsPlay, you’ll even have the option of selecting the carpet color you’d like, making it easy to buy cat furniture that matches the carpet in your home. Wall Furniture – This category is pretty clever; it’s a series of wall-mounted shelves that allow your at to climb, or sit, or play, depending on the configuration. The nice thing about the wall furniture is that it doesn’t take up any space that you might otherwise need for actual people furniture. Instead, it’s mounted up on the wall and out of your way. Addtionally, wall furniture gives your cats something to do that’s a lot more fun for them than your standard cat condo. Unusual litterboxes – A cat litterbox is a necessity, but there’s no reason why it needs to be an eyesore. CatsPlay has a large selection (more than 50) of litterboxes that include a number of designs that won’t look out of place in your home and won’t attract unwanted attention. In fact, some of them have an odor-absorbing light that makes things smell better for you and your family. Free shipping on hundreds of items. While CatsPlay doesn’t have free shipping on everything, they do have free shipping on much of their merchandise. When I checked the site this morning, they had 452 items that included free shipping. Given that a lot of cat furniture is both large and heavy, shipping is usually pretty expensive. By offering free shipping on a large number of items, CatsPlay is saving you money in shipping costs. Sale items – CatsPlay has a “Specials” section that has a number of items that are on sale. When I checked the site recently, there were more than 150 items on sale in the Specials section. They also have other deals, offers and deeply discounted items listed on their site. Multiple easy payment options – CatsPlay currently accepts most major credit cards via a secured Website. You can also pay by PayPal, if you prefer. Pricing – Pricing for cat furniture at CatsPlay runs from a low of about $40 to a high of about $900 or so, which means that they should have something to suite everyone’s budget. If you just need a piece of cat furniture, you can grab something at your local pet store or even build something out of scrap lumber and carpet. But why do that when you can visit CatsPlay instead? 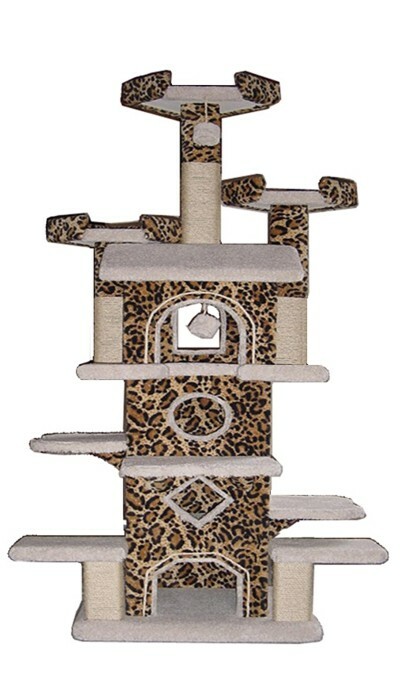 CatsPlay has an assortment of hundreds of pieces of cat furniture in all price ranges and styles. You can choose from standalone units, wall mount units, window mount units, and on the carpeted furniture, you can choose the color of carpet you’d like. They have realistic cat trees that will look like plants in your home, allow you to buy something for your pet that will make your home look more attractive, too. Hundreds of items include free shipping and they usually have a number of items on sale. All in all, CatsPlay should have something to interest any cat owner. Click here to shop at the CatsPlay Website.